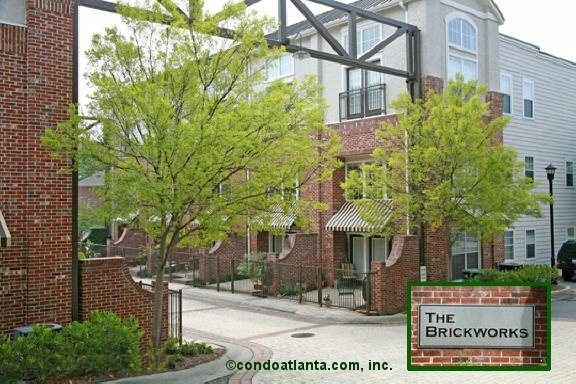 The Brickworks Lofts is a super cool, stylish swim community of soft loft condominium homes located in the Heart of Historic Inman Park. Love living in a home convenient to restaurants, shopping, Downtown Atlanta, Midtown, and MARTA. Enjoy all the benefits of a home near the Krog Street Market, and StudioPlex Alley. Searching for a home near recreational parks and green spaces? Walk to the Atlanta Beltline. Be sure to enjoy Freedom Park at the Jimmy Carter Presidential Library and Museum. Community amenities include a community pool for the enjoyment of Brickworks homeowners. The Brickworks also offers gated parking with controlled access for added homeowner security. Decatur, Toco Hills, Mercer, and Emory. Just east of metropolitan Atlanta, the City of Decatur is a neighborly live-work-play community! It’s home to world class educational institutions including Emory University and Agnes Scott College, events and activities hosted by the Fernbank Museum of Natural History and Science Center, the repository of archives at the Dekalb History Center, fabulous eateries, fine dining, live music and boutique shopping at the Decatur Square! Decatur is also the home of beautiful gardens and parks including Woodlands, Parkwood, Sugar Creek, Adair, Ebster, Glenlake, Hidden Cove, Mead Road, McKoy, Scott and Oakhurst!